Jurassic islets that resemble two defensive towers. Its surroundings, which have sheltered bandits in times gone by, offer both culture and nature with its many routes for hiking and walking – the area of Sendero de la Ladera in the outskirts, the Piedra route, the Teja route, the las Columnas route, the Valley of Los Dólmenes and the Valley of Acinipo, where you can visit the remains of a Roman city with an amazing amphitheatre. Bordering the Sierra de Grazalema Nature Park, El Gastor shares its massive reservoir with Zahara, meaning there are plenty of opportunities for water sports. One of which is the enormously interesting Corpus Christi celebration. On this day inJune the town is covered with a green blanket of olive, broom and black mustardbranches in preparation for the Santísimo procession, to which people come wearing the traditional shepherd vestments. 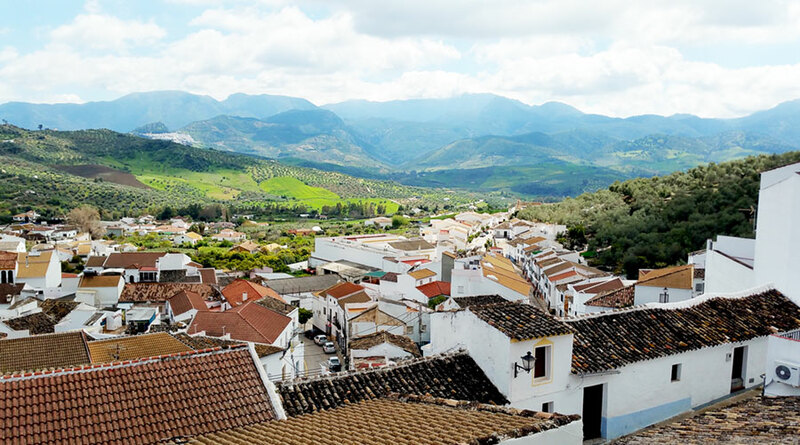 Known as the “balcony of the white villages” because of its whitewashed houses, its narrow streets and the water that flows from the many fountains splashing in the squares and other corners of the town, El Gastor has an enchantment typical of Cádiz’smountain towns. Birthplace of the area’s main bandits, including Diego Corriente, El Cerrito, El Potajeand also José María El Tempranillo, they were responsible for a new chapter of history because of the exploits and misdeeds that were committed.